Coriel Taylor has a passion for high-fashion sneakers and Motown music. But it’s her passion for the human touch that helps her excel as a leader at Accenture. Coriel leads Accenture’s Digital Delivery Studio in Detroit. “We create killer experiences for our clients in mobile and web applications,” she explains. A leader with charismatic people skills, Coriel was shaped by growing up inside a large, close-knit extended family in Detroit. She is an engineer, who graduated from the University of Michigan, Ann Arbor. 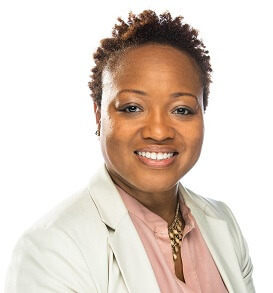 Coriel believes in the importance of diversity of backgrounds and thought, and her personal, family-style approach informs her leadership, as well as how to successfully achieve inclusivity in a large organization. As a black woman on a majority-white college campus, the high-school honor student often felt lost and lonely, so she keenly understands the importance and the need to feel included, valued and respected. “We need that extra encouragement to feel comfortable,” she says. Everyone has scenarios at times, when a personal focus can make all the difference, Coriel says. “That may mean spending a little bit of extra time to talk about how a person’s day is going. Or it may mean getting to know a person’s background and what their story is,” Coriel says. At Accenture’s Digital Delivery Center in Detroit, Coriel has built a team of individuals with diverse backgrounds—one was a pipe fitter, another a former teacher. Diversity of thought, she says, is critical to her team’s ability to innovate. A self-described foodie, Coriel loves weekend excursions with her husband to Detroit’s Eastern Market, where she shopped growing up, and now picks up everything from firewood to fresh lamb and Brussel sprouts for their dinners. The city’s “underdog” status still appeals to her. As a child, she experienced Detroit’s economic slide—her dad worked at auto plants—and as an adult, she’s watching distressed neighborhoods become tech hubs. “It’s a great place for diverse talent,” she says. Join our global collective of diverse talent innovating together. Find your fit with Accenture. Thank you Coriel, humanity as a cornerstone... Bravo!! !